With the official release of Theme Builder 5.0 during BlackBerry DevCon 2009, Elecite was quick to release their first theme for the BlackBerry Storm2. 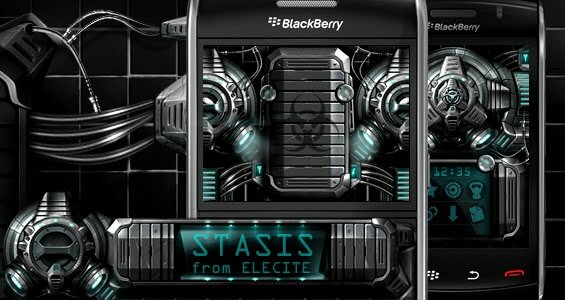 The ‘Stasis’ theme is also available for other BlackBerry devices. Available for: BlackBerry Storm1 & 2 (comes separately for OS 4.7 and 5.0), 8900, 9600, 9000, 9700, 85xx & 8350i.